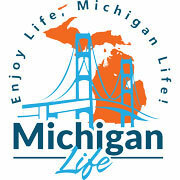 Michigan Life's Region 5 Lansing and Saginaw Area including Clinton County, Genesee County, Gratiot County, Ingham County, Livingston County, Saginaw County, and Shiawassee County Michigan. Come out to see the Holiday Lights at Shawhaven Farm. Ride past a beautiful Hanukah lights display, continue through the streets of the village all decorated up in the holiday spirit. See Santa coming down the chimney. Watch the animated light show to the music of the holidays. Santa will visit with children 10 and under. Bring your camera and your wish list to Bronner’s. Because Santa is so busy on Christmas Eve, his visiting hours will end at 3pm and Bronner’s will close at 4pm. Please note that many children wish to see Santa on Saturdays and Sundays. Guests should anticipate a wait. The Laingsburg annual Winterfest Celebration! Winterfest is a wonderful opportunity to enjoy many memorable activities with our families and friends. The Holidays are always a magical time for everyone. This is an especially magical time at Peacock Road Family Farm. Holiday Celebration and Candlewalk in Frankenmuth River Place Shops is the perfect way to start the Christmas season. Free Hot chocolate and cookies. Ceremony starts at 6:30pm. The Annual Holiday Light Parade is presented annually by the Williamston Area Chamber of Commerce, thousands of people come out every year to enjoy the parade and visit with Santa and Mrs. Claus. The parade will go east on Grand River Avenue, and continue to Taylor. The floats will be judges in seven categories, including Spirit of Christmas.